In a lovely Hamlet, this property is near the villages of Courleon and Parcay les Pins. The . . . This pretty little house is on a quiet country lane in a small hamlet between the villages of . 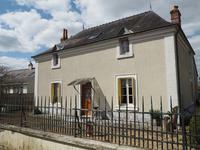 . .
Set in the heart of the Loire overlooking open countryside, this excellent property offers . . .
Amazing secluded 4 bedroom village house with substantial outbuildings and large gardens. This house offers everything, discretely located within the heart of the village. It has its . . . Currently a one / two bedroom character property that will make a great home. enjoying oil . . .
A ready-made second home, perfect for a couple! Beautifully presented cottage, garden, outbuilding ready to renovate. 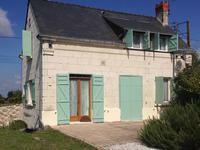 Near to Saumur and Bourgueil, located in a hamlet of five properties a couple of minutes' . . . This property is immediately ready to use either as a main residence or holiday home. . . . Situated on the edge of Parcay-les-Pins, a very popular and vibrant village with various . . . Very Large property on the edge of a vibrant village with all ammeneties. An ideal family home but with the potential for conversion to a B and B. This house build at the end of the 19thC and then further extended in the 1920's is an ideal . . . This 4 bedroom home would make a great lock up and leave holiday home or a permanent home. . . .
A nicely presented 2 bedroom gated Tuffeau style property with various outbuildings and . . . Ideal holiday or permanent 3 bedroom home in good condition with manageable garden. Located . . . 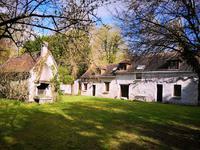 Located in the village of Parçay les Pins - less than an hours' drive from Tours (regular UK . . .